Lights, Camera, Drones: Hollywood's Lens Gets A Little Larger : The Two-Way The FAA is granting six movie and TV production companies permission to use drones for filming. The move could pave the way for the unmanned aircraft systems to be used in other commercial ventures. A Parrot Bebop drone flies during a demonstration in May in San Francisco. Hollywood is getting the green light to fly its own drones. The Federal Aviation Administration is giving approval to six movie and TV production companies to use drones for filming. And the move could pave the way for the unmanned aircraft systems to be used in other commercial ventures. The FAA will permit the six companies to use remote-controlled drones to shoot movies and video for TV shows and commercials, but there will be certain limitations. "The key thing is that they're operating on closed sets and they're maintaining operations within the line of sight of the operator, using certified pilots," says FAA administrator Michael Huerta, who adds that drones will not be allowed to fly higher than 400 feet. "This is a big deal for us," says former Sen. Chris Dodd, who is now chairman and CEO of the Motion Picture Association of America. "This is an important day for the industry." Dodd says filming now done in other countries that allow the use of drones can come back to the U.S., "increasing, I hope, the job opportunities, the revenues, the industries that will gain and benefit as a result of this decision." Transportation Secretary Anthony Foxx also says this action is a big step forward for the television and film industry. "It's a milestone in the wide effort to allow unmanned aircraft for many different types of commercial use," Foxx added. The six companies are: Astraeus Aerial, Aerial MOB, HeliVideo Productions, Pictorvision, Snaproll Media and Vortex Aerial. A seventh company, Flying-Cam, also sought an exemption, and the FAA has requested more information. Up to now, The Associated Press notes, "the Federal Aviation Administration, which is part of the Transportation Department, had banned commercial drone operations with the exception of a lone oil company in Alaska." Industries want permission to use drones for everything from surveying crops and pipelines, to real estate and wedding photography, even delivering packages. 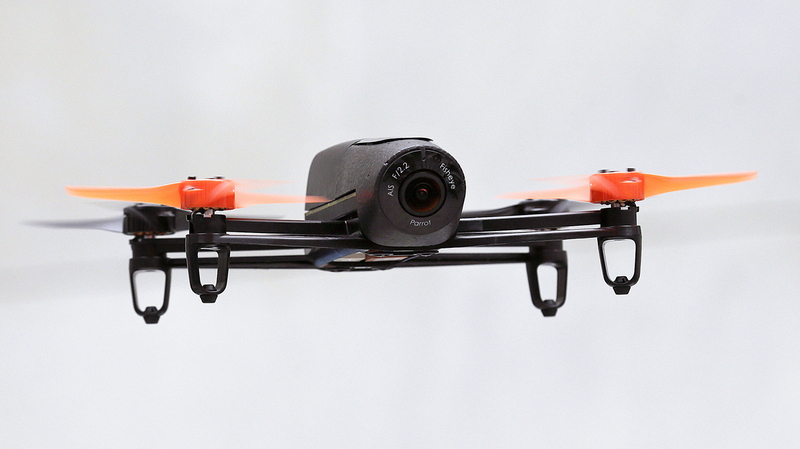 At least 40 applications seeking drone-use approval are pending before the FAA. Huerta suggests the permits being granted to the film industry could serve as a guide in terms of what safeguards other industries should be prepared to provide if they want to seek drone approval. "We can grant them [permits] for tightly controlled, low-risk situations, so in this case, a movie set that is closed to the public," Huerta said. "What we have to consider, when we look at [other] organizations and activities such as news gathering and photography, is how we address the question of ensuring that it is a low-risk situation." Huerta would not say exactly how "low-risk" will be defined, and many drone operators worry that the restrictions on drone use may be too limiting. "Brendan Schulman, a New York attorney who represents several drone operators and interest groups that have challenged the FAA's drone restrictions, said he is concerned that limitations attached to the drone permits may be so onerous that their benefits will be outweighed by the cost and the headache of complying. "Congress and industries that want to use or sell the technology have been pressuring the FAA to relax its ban. "But the commercial drone ban is being undermined daily. Many operators see no harm in flying small, lightweight drones, often no bigger than a backpack, despite FAA warnings that they could collide with manned aircraft or injure people on the ground. Even a congressman who is a member of the House committee that oversees the FAA, Rep. Sean Patrick Maloney, D-N.Y., hired a photographer to produce a video of his wedding using a camera mounted on a small drone."